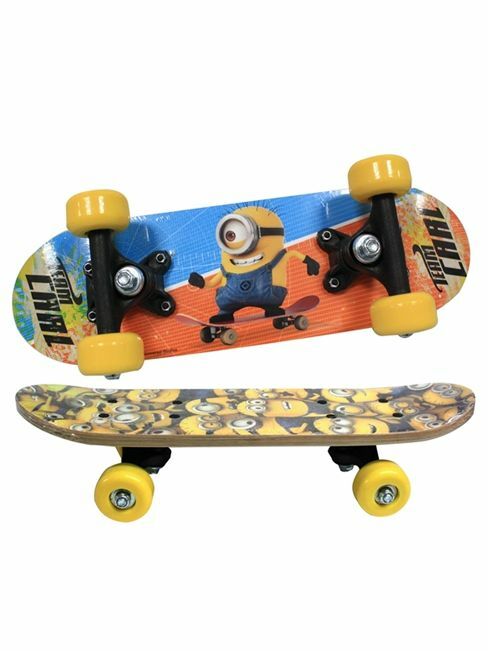 Official Licensed Despicible Me Small Sized Skateboard designed specifically to fit into a school satchel or similar sized bag. 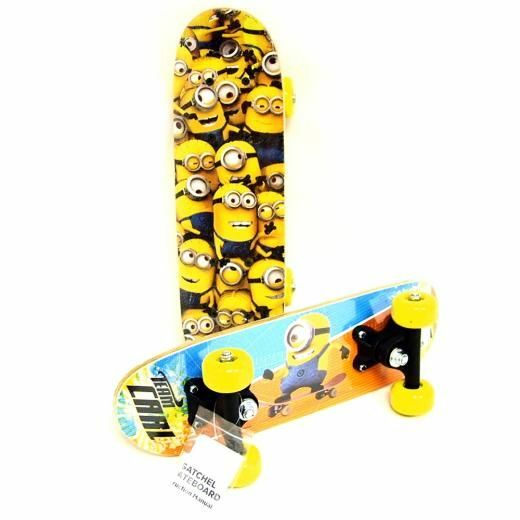 Surface of Board (face side up) has many Minions with the underside (wheel base) showing one Minion. Measures approx 43cm, Not suitable for Children under 3, always use with Adult Supervision. Only for Domestic Use. Protective Equipment such as Head and Knee pads should be worn, not to be used in Traffic or on the Public Highway.